Matt Hickman put together a tasteful-top-twelve of terrarium dream tools and containers at the Mother Nature Network. 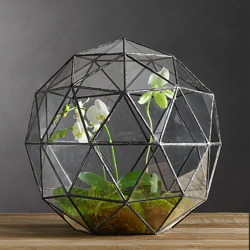 My favorite is the above-pictured geodesic terrarium. What a stunner!